I suspect that most parents have seen Toy Story 3 by now, either in the theater this summer or on DVD since its recent release. (In the latter case, you've doubtless seen it…countless times.) Our family is no exception—Dash went with his mom when it first came out, and we've owned the DVD since a few seconds after it was available—but I myself had missed out on actually seeing it until this past weekend. Anyway, no surprise: It's the usual Pixar masterpiece—funny, moving, playing simultaneously to kids and parents on a bunch of levels. Or at least it shouldn't have been a surprise to me, since the animation studio has been spoiling us all into such expectations for years now. But somehow, I hadn't been expecting as much this time around. 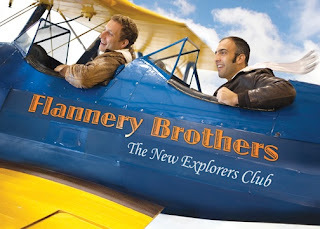 My line of thinking when I first heard about the movie went something like: A second follow-up to a 15-year-old movie? Man, I'd really rather see Pixar break new ground. I guess Disney's just cashing in on the massively successful franchise. If Pixar is ever going to disappoint, this would be the one. Well, I was wrong. Toy Story 3 offers up the same brand of ultrasmart writing, directing, and animation we've seen recently in WALL-E and Ratatouille. Once more, live-action studios could take lessons from Pixar's brain trust in matters like exposition, here provided in slightly-dark-yet-humorous form by a grizzled Chatter Telephone (playing the Elisha Cook, Jr. role) and, for the vital villain backstory, a burnt-out toy clown named Chuckles (voiced by the always brilliant Bud Luckey). 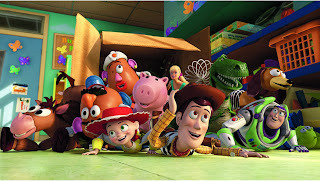 And yet the bonds among the core group of toys, and between them and their now-grown owner, are realistic enough to make the film's deeper explorations of love and loss genuinely moving; Pixar's remain the only animated films at which kids often are called upon to comfort their parents, rather than the other way around. So, Pixar: I can't believe I ever doubted you. I am so sorry. It will never happen again. Not even with your toughest test of my expectations yet, the upcoming Cars 2. The holiday season is upon us, and with it every parent's favorite pastime, family travel. Every generation thinks it has the worst of things, but ever-longer airport lines and the latest guessing games in the TSA circus are making the temptation for ours to lay claim to the title pretty strong. So more than ever, it never hurts to be loaded for bear several times over when it comes to keeping the kids occupied through all that waiting. On the other hand, extra books to pack are…not exactly welcome. 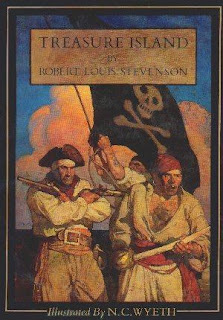 I've mentioned before that tons of classic children's literature, like pretty much all classic out-of-copyright books, has long been available free of charge online, courtesy of Project Gutenberg, which has spent many years painstakingly transcribing them for public use. The only problem was that the PDFs you could grab off the website weren't formatted in a terribly friendly-to-read way. Enter the iPad and its (free) iBooks app. In the app's store, under the "Classics" entry in the Categories tab, you'll find a library's worth of classic titles (scroll down for the "free" section), including lots of stuff for kids of any age: Alice in Wonderland. Treasure Island. The Secret Garden. If it's more than a century old, it's probably here. When you download a title, it shows up on your iBooks shelf just as any new, purchased book would—formatted in the font of your choice, with adjustable print size, and easy to read in portrait or landscape view. There's an occasional layout hiccup with illustrations (sometimes the captions bump the regular text in slightly odd ways), but all in all, the books look great in this format. And they're all ready to hand over to your ten-year-old during that layover, or to use as bedtime reading at Grandma's house. Plus, if you're feeling your literary oats yourself (or, horror of horrors, you exhaust your existing airport reading), you can download Pride and Prejudice once the kids are safely asleep—or, if you're really ambitious, War and Peace! All free! 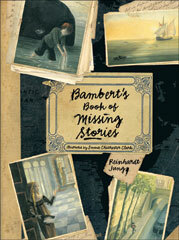 You can tell at a glance that the late Reinhold Jung’s Bambert's Book of Missing Stories is something out of the ordinary for a children’s chapter book. Maybe it’s the suitably evocative illustrations by Emma Chichester Clark, done expressly for this edition of Anthea Bell’s 2002 translation from the original German (though it’s hard, now, to imagine it without them). Or perhaps it’s the title, a clue that this is a book about a book—a book about itself, in a way. In it, Bambert, a disabled, very small man who lives as a recluse in an attic apartment in an unnamed European (presumably German) city, takes his mind off his painful existence by writing stories—stories that no one else ever reads. Eventually, he ties ten stories to separate tea-light hot-air balloons and releases them out his window, hoping they will drift to far-off places and be enjoyed by people there. He includes with each a request that the finder mail the story back to him, with the details of where and whom it’s being returned from. He also sends off an eleventh balloon, this one carrying blank sheets of paper—the final story in what will be Bambert’s book, he feels, must somehow write itself before returning home. The individual stories make use of many tropes from classic European folk tales and fables, so that while every story is completely original, it feels strangely familiar to the reader, reminiscent of everything from the Grimm tales to The Little Prince. They do not shy away from dark subjects, either; Bambert’s (and Jung’s) intent, we soon realize, is to grapple with the world’s evils—repression, injustice, cruelty, war, and even genocide come up, and not always in merely allegorical ways. As a result, they have a placid force; collectively, the stories seem to stand for art’s power to help us deal with, and sometimes heal, the pains and wounds life hands us. But for kids a little older, nine to twelve or so—especially those who may be starting to consider difficult questions, like why bad things happen to good people—Bambert’s Book of Missing Stories will be a revelation, I think, unlike any children’s book they’ve read. Moving and thoughtful, and haunting in the very best sense of the word, it’s beautifully accomplished, and an excellent bridge for kids who are becoming interested in serious adult fiction. 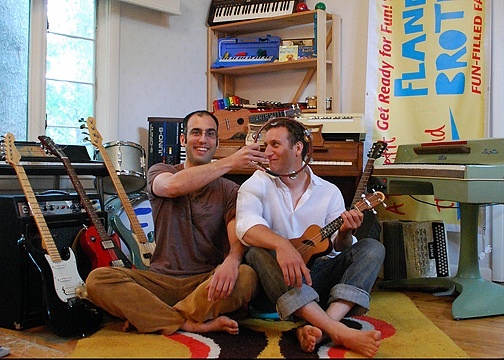 Sometimes I forget that not every parent is as immersed in the world of kids’ music as I am. 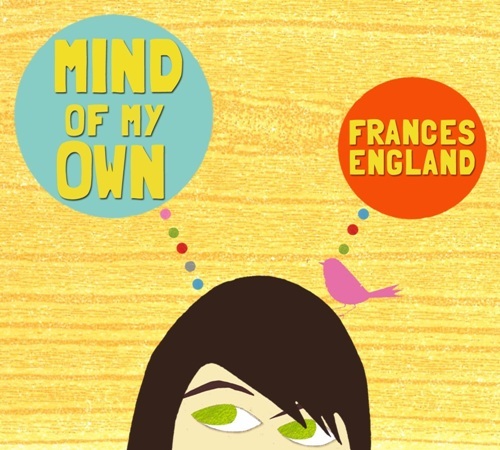 Take Frances England, for instance: I sometimes take it for granted that now, with the release of her third album, everyone knows about her immense talent and puts her in her rightful place at the very forefront of today’s children’s musicians. Then I remember that it took time (and often an established prior career in music for adults) for artists like Dan Zanes to build their reps—and also that parents of young kids have, shall we say, a number of draws for their attention, children’s musicians generally not being at the forefront. So for the uninitiated, here’s a quick recap of England’s path thus far. 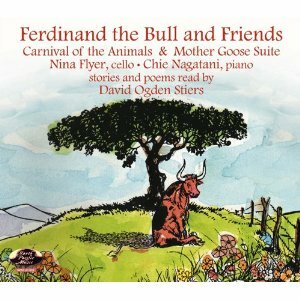 Back in 2006, England recorded a set of songs for a fundraiser for her son’s preschool. She didn’t think of herself as a professional musician, and she didn’t expect anyone outside that circle to ever hear it. But Fascinating Creatures blew away everyone who heard it, and word began to spread. A few months later, it won the 2007 Oppenheim Platinum Music Award, and kids’-music critics (including my former colleague at Cookie, Christopher Healy, who taught me everything I know about covering this beat) were singing the praises of this out-of-nowhere independent artist. Understandably, anticipation was high for England’s follow-up, 2008’s Family Tree. It didn’t disappoint; both CDs would end up on critics’ lists of the top ten kids’ albums of the decade. It’s a common reviewer’s tool to compare new artists to established ones, but the striking thing about England is that from the start, her sound has been all her own. She’s by no means without influences, of course, and as you listen you’re put in mind of artists like Ani DiFranco, Suzanne Vega, Tift Merritt, Neko Case, and even They Might Be Giants. But her songs never sound “just like” someone else. More to the point, her unique sound is really, really good; England has established herself with almost disturbing ease as one of the best songwriters in the genre. On her latest release, Mind of My Own, she works for the first time with a full band, several guest artists, and an outside producer (Tor Hyams, whose credits include work with Perry Farrell, Lisa Loeb, and Deborah Harry). But she never lets that core of solid composition and musicianship get away from her—and so, for a third time, she’s given us one of the tightest, best-crafted CDs you’ll ever hear. Mind of My Own also has a candylike appeal to kids—it’s one of those albums that goes into the CD changer and doesn’t come out for months. Our six-year-old in particular just keeps playing it over and over again, circling back multiple times to sing along with the insanely catchy “All the Ways.” As always, all the tracks are remarkably strong—there are no weak links on a Frances England album—but highlights for our family include the peppy title track (about all the great ideas kids have that their parents find somewhat less that great); the whimsical, TMBG-esque bio-song “Jacques Cousteau”; and the sweetly matter-of-fact “Place in Your Heart” (a love song from the POV of a child’s favorite cuddle toy). In addition to her massive musical and vocal talents, England has a knack for writing smart, clever lyrics that encapsulate child experiences and viewpoints from their perspective. Her songs feel true to kids, not the least bit patronizing or “talking down” to them, and not surprisingly, they like that a lot. With the latest book he’s chosen to obsess about at bedtime, our two-year-old, Griffin, seems to have an eye for design. In Lots of Dots, graphic designer Craig Frazier uses a vivid pop-art style to explore all the different dots, circles, and spheres we encounter in everyday life, from little ladybugs to skateboard wheels to scoops of ice cream to bubbles. 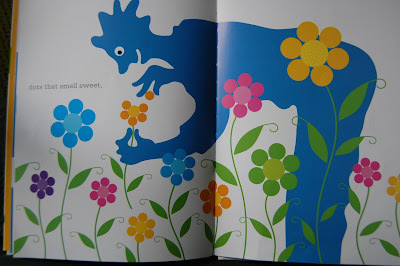 It’s a common theme in picture books for young kids, but Frazier puts his own individual stamp on it, making each bright circle seem to jump out from the page. And it may be because it’s fitting perfectly into his current developmental stage—as an all-too-typical dad of a second child, I haven’t stayed quite as on top of that stuff lately, so I’m not certain—but Griff was captured by Frazier’s illustrations right away. He returns to the book again and again, pointing at the dots on each page as we go through. 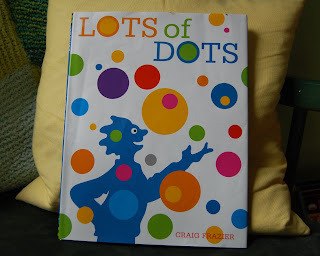 He’s even initiated a little game on the last spread (on which Frazier has given us a collection of all the dots we’ve just seen in the book), pointing to each item in turn and asking, “What’s that?” with a little smile—because by now, he really knows all the answers perfectly well. That, to me, is the sign of a really good basic-genre picture book—it does the same thing many others do, but in a way that’s magically irresistible to your child. Lots of Dots most certainly qualifies. All of Macaulay’s work, from the early architectural books to The New Way Things Work and the more recent The Way We Work, is nearly as fascinating to me now as an adult as it was (or would have been) when I was a child. The author is deservedly renowned for his use of illustration to clarify and explain just about anything, and the three books that make up the new compendium Built to Last—Castle, Cathedral, and Mosque—established that reputation. In them, Macaulay delineates, step by step, the amazing process of construction of these three mammoth structures in the 13th (for the first two) and 16th centuries. Children with a taste for architectural renderings or simply drawing in three dimensions will be dazzled by all three, naturally. But those less gifted in spatial intelligence—and I most certainly count myself among them—will also find a lot to love. As readers of any of Macaulay’s books know, the author is driven to analyze and explain everything about a subject, and so he delves into the historical background of these buildings as well: not just how, but why they were built, and what purpose they served in their worlds politically and socially. It’s a take on nonfiction writing for children that’s had a deep influence on a generation of authors, and for good reason: It provides an awful lot for curious minds of all kinds to latch onto. While I can’t recommend Built to Last enough to those who don’t already have copies of the original volumes at home—the three-in-one makes a nice gift!—parents who hung on to their old childhood editions for their own kids may want to consider it as well. Because Macaulay wasn’t content to just repackage his books in one volume, in the traditional, low-effort way—instead, he took the opportunity to revisit his old classics. He’s made various changes and additions where he felt they were necessary or helpful, and he’s also rendered all of the first two books in color. (Both were originally all black-and-white.) The result is a book that feels far more integrated as one entity than most compilations of this sort do.